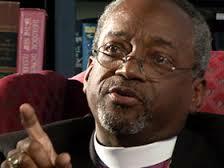 The Episcopal Church belongs to the family of Christian Churches descended directly from the Church of England. Many centuries ago during the time of the religious reformations in Europe (1517 and after), the English Church identified itself as “catholic and reformed,” loosening its ties with the Roman Catholic Church to which it previously belonged. In subsequent centuries, as English colonists and travelers settled across the world in an age of European expansion, so did English Christians, bringing with them the worship and practices of the Church of England. In North America this resulted in the founding of the Anglican Church of Canada and The Episcopal Church in the United States. Distinctive marks of The Episcopal Church include the use of The Book of Common Prayer in liturgy, the oversight of bishops in the governance of the Church, and a dedication to the ancient sources of teaching and spirituality, including Holy Scripture and early church tradition. We follow the seasons of the Church Year: Advent, Christmas, Epiphany, Lent, Easter and the months After Pentecost. Most of our clergy and altar servers vest in the colors of the seasons of worship, as do our choirs. We embrace music in our worship, use several hymnals and are open to innovative themes within that tradition. Most of our parishes have an organ and a piano and frequently invite other instrumentation. Episcopal parishes tend to be named after saints or other aspects of the Christian heritage, such as Grace, Holy Trinity, Advent or The Epiphany. Many Episcopal church buildings are designed to resemble the dark and romantic Gothic structures of England, part of a Neo-Gothic revival of architecture in recent centuries. Spectacular examples of such architecture include the National Cathedral of Saints Peter and Paul in Washington DC and the Cathedral Church of Saint John the Divine in New York City. Others resemble colonial edifices: unadorned, clear and bright. 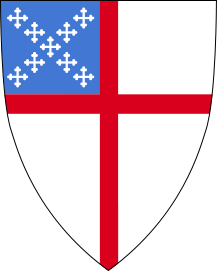 The parishes of The Episcopal Church are organized into dioceses overseen by bishops, who in turn belong to the ranks of the national church, meeting in General Convention every three years. A Presiding Bishop is elected to represent our province among the provinces of the Anglican World Communion, an affiliation of churches that looks to the Archbishop of Canterbury as its spiritual leader. 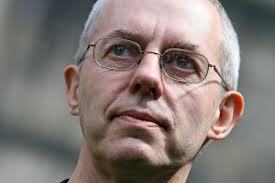 Our current Presiding Bishop is Michael Curry and the Archbishop of Canterbury is Justin Welby. Ohio’s diocesan bishop is Mark Hollingsworth. Over 6,000 congregations make up the 110 dioceses of the church nationwide and overseas. Ten seminaries serve as training schools for clergy and laity and a number of prominent colleges in the United States took their start from an association with the church, including Kenyon College in Gambier. Monastic communities are a part of the Episcopal tradition, orders of both men and women. Episcopal worship is marked by a sense of reverence and awe, of quiet respect and graceful movement in prayer. The liturgy takes its life from the desire of the people to honor God in all things, to serve faithfully and to share lovingly in the community of those who believe. The Book of Common Prayer embodies our tradition, a tradition descended from the ancient prayerbooks of Europe, including the early English books of the 16th century. The primary expression of spirituality in our heritage is the celebration of Holy Eucharist, the sacrament of the Lord’s Table. Readings and sermons and other teachings may precede this central aspect of worship, and are considered preparatory and purposeful to its elevation. The rite of Holy Baptism is offered to children and adults as the entryway into the life of the Christian community and the reception of communion. Our clergy are ordained to oversee worship and pastoral care, the administration of the church and its teaching. Our laity are empowered to serve God in the Church and in the world through the invitation to serve with our clergy in many aspects of ministry and initiate missions and ministries world-wide. Our sense of global mission includes the ministries of Episcopal Relief and Development, our support of the United Nations’ Millennium Development Goals and other world-wide initiatives. The Episcopal Church maintains a state of the art website, where many of the ministries and mission efforts of the church can be seen. Links to its various related media can also be accessed there, including Facebook and Twitter. To visit the home page of the website please click here. The website of the Episcopal Diocese of Ohio can be accessed by clicking here. To visit the international website of the Church of England, our mother church, then click here. Other interesting and informative websites for exploring the depth and breadth of the Anglican family include Canterbury Cathedral (click here), the Washington National Cathedral of the Episcopal Church (click here) and the Cathedral of Saint John the Divine NYC (click here). To learn more about the life of The Episcopal Church we suggest some of the following sources. The New Church’s Teaching Series in 13 volumes, published originally by Cowley Publications, including Opening the Prayerbook, The Practice of Prayer, Engaging the Word, Opening the Bible, Mysteries of Faith, Early Christian Traditions, Living With History, The Anglican Vision, Ethics After Easter, and Christian Social Witness.